We're delighted to announce that CV-Library is supporting the QA Hackthon for the first time, as a gold sponsor. CV-Library is the UK's leading independent job site, attracting over 3.8 million unique job hunters every month and holding the nation's largest database of over 10 million CVs. Founded in 2000, CV-Library has been built on Perl since its inception. Like Perl itself, its platform has evolved over the years, and is now predominantly modern Perl using Dancer 2. They make use of Docker containers to provision new microservices, continuous integration (and some continuous deployment! ), code reviews and code inspection. Based in Fleet, Hampshire, CV-Library has a technical team of 25 maintaining and extending its infrastructure. Their developers contribute to CPAN (DIOCLES, LANCEW, and RAZ), found Perl Mongers groups (Fleet.pm, Southampton.pm), talk at London.pm and arrange CPAN pull request evenings with pizza! Regular demos and training sessions keep the whole team up to speed. 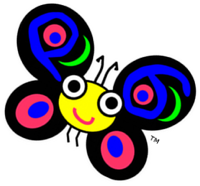 CV-Library is an active supporter of Perl and Open Source, their recent CPAN modules include Toggle and WebDriver::Tiny and they are regular sponsors of the London Perl Workshop. CV-Library is proud to contribute further to the development of Perl and the toolchain that they rely on, and we thank CV-Library for its support. The QA Hackathon (QAH) will be kicking off on Thursday morning this week, starting 4 days of intensive work on the CPAN toolchain, test frameworks, and other parts of the CPAN ecosystem. The participants will be gathering from all over the world on the Wednesday evening. The QAH wouldn't be possible without the support of all of our generous sponsors. In this post we acknowledge the silver, bronze, and individual sponsors. 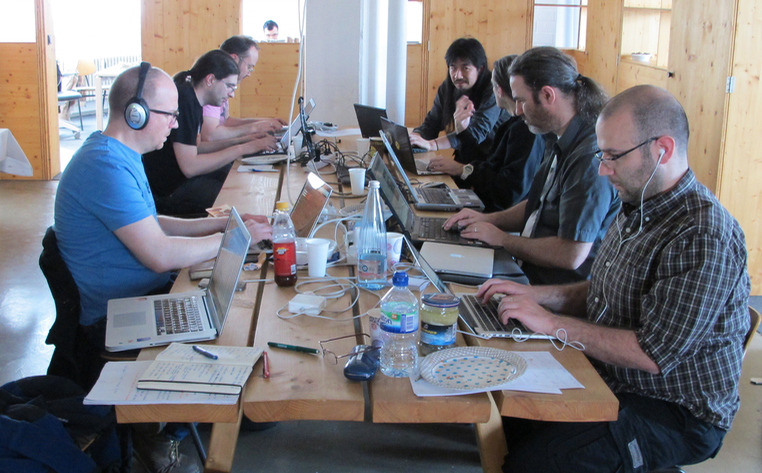 Many of the Perl hackers taking part wouldn't be able to attend without your support. On behalf of the organisers and all attendees, thank you! 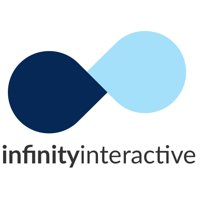 Infinity Interactive is a collection of passionate technologists who solve problems for a wide range of clients. Founded in 1998, Infinity now has over 30 employees spread across North America. While their “first love” will always be Perl, Infinity has expertise across a wide array of languages, technologies and platforms, from .NET to Node, Swift to Xamarin. A long time and fervent supporter of the open source and Perl communities, you may recognize their employees from their CPAN contributions and YAPC talks, including: ANELSON, DIZ, GENEHACK, JHANNAH, WOLFSAGE, and YANICK. Perl Careers is a Perl-focused recruitment consultancy, run by a Peter Sergeant, a CPAN contributor (PAUSE id SARGIE) with a recruitment background, rather than by a non-technical person. Peter works with clients and candidates in London, the US, and Australia. Peter is not only sponsoring the QAH, he's attending it as well, to work on some of his Test modules. By offering the best of traditional databases as well as the flexibility, scale, and performance required by today’s applications, MongoDB lets innovators deploy apps as big as they can possibly dream. From startups to enterprises, for the modern and the mission-critical, MongoDB is the database for giant ideas. MongoDB has offered a Perl driver since 2009 and is one of the only major next-generation database companies to offer an internally-developed and officially-supported Perl client. MongoDB believes in the Perl community; they regularly host Perl Meetups in their NYC office and send developers to major conferences. Look for David Golden’s talk on “Practical Consistency” at YAPC::NA 2016.
think project! is a cloud so­lu­tion for cross-en­ter­prise col­lab­o­ra­tion on pro­jects. The name think project! stands for both highly-adapt­able soft­ware as well as a team of spe­cial­ists who tai­lor its im­ple­men­ta­tion to meet in­di­vid­ual re­quire­ments. think project! has used Perl and CPAN since the early 2000's. This has proven to be a good decision. For the last five years they have been proud to sponsor Perl events like the QAH. Built on open-source technology with a commitment to customer success, DreamHost provides domain registration, web hosting and cloud services to 1.5 million sites, blogs and applications, and supports over 400,000 web designers, developers, content creators, small businesses and entrepreneurs with the power of the Open Web. Perl services is the contracting company of Renée Bäcker, a CPAN author (RENEEB) since 2004. Evozon is a software consultancy based in Cluj Napoca, Romania. They created and sponsor cluj.pm, who are hosting YAPC::EU this year. Booking.com is a world leader in booking accomodations online. Each day, over 1,000,000 room nights are reserved on Booking.com. Eligo is a UK-based recruitment agency that specialises in a number of areas, including software development. Their Perl recruiter is Rick Deller, who has presented at a number of Perl events around Europe. Oetiker+Partner is a Swiss-based software consultancy that almost exclusively use open source software. Beyond their customer projects, they have open-sourced a number of their own projects. CAPSiDE is a systems engineering company specialized in technological consulting and professional services, counting with expert engineers about high availability systems, networks and software developing. Procura serves local government with ICT projects in the Netherlands. Constructor.io provides autocomplete as a service, combining big data processing, machine learning, and a lightning-fast architecture to bring advanced autocomplete functionality to any site with a search bar. We would also like to thank the following members of the Perl community, who made personal contributions. Thank you! We're very happy to announce that SureVoIP are supporting the QA Hackthon as a gold sponsor. SureVoIP® (Suretec Systems Ltd.) is an Ofcom-registered Internet Telephony Service Provider supplying Hosted VoIP solutions, SIP trunks, UK inbound numbers, International SIP numbers, a partner program, public API (powered by Catalyst) and other related VoIP products and services. Based in Aberdeen, Scotland it also provides VoIP optimised internet connectivity to its customers in order for them to connect directly to its core network for the best VoIP experience. Wherever possible SureVoIP builds its services and tools on open source software, and likes to support the relevant communities where it can (they have also sponsored the London Perl Workshop in the past). A number of CPAN distributions were developed with the support of SureVoIP and are available via its GitHub account. Suretec's founder Gavin Henry is also a CPAN author: GHENRY. Many parts of SureVoIP's infrastructure are written in modern Perl, using well-known modules like DBIx::Class, Catalyst, Moose, HTML::FormHandler, etc. If you're experienced with those, or would like to be, SureVoIP is looking to hire an experienced modern Perl developer to work on its portal and API. SureVoIP is proud to support development of critical Perl infrastructure this way, and we thank SureVoIP for its support. We're very happy to announce that Strato are supporting the Perl QA Hackathon, as a gold sponsor, for the second consecutive year. Strato are a global hosting company; they are a subsidiary of Deutsche Telekom, and have their HQ in Berlin. Their ISO 27001-certified data centres are home to four million domains and about 60,000 servers. Strato offer domains, email, homepage and wordpress packages, online storage, web shops and basic servers through to high-end solutions. Strato has a team of 80 developers, most of whom use Perl to develop the bespoke services and tools used to run Strato's state-of-the-art data centres. They're staunch supporters of open source, using it wherever possible, and contributing back to the community when they can. They not only also sponsored the QAH last year, but two of their employees (Tina Müller and Andreas König, who created PAUSE) organised it! Strato are proud to support Perl and the CPAN toolchain again in this way, and we thank them for their continued support. Since 1997, ActiveState has been providing software application development and management solutions, especially around Perl. ActivePerl (the original "Perl for Windows" distro), Perl Dev Kit, and polyglot Komodo IDE are some of the flagship products that have made them renowned by Perl developers around the world. More than two million developers and 97% of Fortune 1000 companies use ActiveState's solutions to develop, distribute, and manage their software applications. Global customers like Bank of America, CA, Cisco, HP, Lockheed Martin and Siemens rely on ActiveState for faster development, ensuring IT governance and compliance, and accelerating time to market. Thank you to ActiveState for their support of the QA Hackathon and the Perl community. Fastmail.com is a commercial hosted email service founded in 1999, and which has established a reputation for technical leadership in the hosted email space, with a focus on security, privacy, and reliability. It is run by FastMail Pty Ltd, an Australian company based in Melbourne. From their early days they've been users and supporters of Perl, and several of their developers are CPAN authors: BRONG, ROBN, and ROBM (one of the founders). In late 2015 they acquired pobox.com, another hosted mail company and longtime user and supporter of Perl. Pobox's tech lead is RJBS, and they're currently looking to hire an experienced developer. Thank you to FastMail for their support of the QA Hackathon and Perl. We're delighted to announce that ZipRecruiter has decided to sponsor this year's QA Hackathon. ZipRecruiter.com is a website where job seekers can find jobs all over the world, and employers can list their open positions. Not only will those positions be listed on ZipRecruiter.com, they will be pushed to more than one hundred job boards and social networks. Job seekers get free email alerts with postings that are tailor-made for their skill set and location. ZipRecruiter was founded by four friends in 2010 who wanted to make life easier on both sides of the hiring table. With years of experience building sites with Perl, they put together their first prototype using DBIx::Class, Catalyst, and MySQL. Those same technologies have grown with them to support millions of users posting, finding, and applying to jobs today. ZipRecruiter has over 70 developers, most of whom work in Perl on a regular basis. Some of them you'll recognise as long-time contributors to Perl and CPAN: FREW, GSHANK, MERLYN, MJD, SPAZM, DFARRELL, BLUEFEET and more! ZipRecruiter continues to be built on open source, which is why they support developer communities through CPAN contributions, hosting LA.pm.org meetings, and financial support for events like the QA Hackathon. If you have questions or want to submit your resume by email, you can contact them at recruitment@ziprecruiter.com. ZipRecruiter is happy to support Perl and CPAN; the team understands the value of the QA Hackathon to Perl and look forward to reading about the results from another productive event. We're happy to announce that the 9th annual Perl QA Hackathon (QAH) will be held in Rugby in the United Kingdom. The event will run from Thursday 21st April to Sunday 24th April. The QAH is a face-to-face gathering of the lead developers who work on the Perl toolchain that all Perl programmers rely on and build upon. The first QAH was held in Norway, in 2008, and so far it's always been in Europe. The QAH provides dedicated time over 4 days to work on the critical systems and tools, with all the right people in the same place. The group of attendees gradually evolves from year to year, as it's based on the people who are currently maintaining and evolving the toolchain. A lot gets done at the QAH, but the discussions also tend to generate plenty for people to work on in the following year. Every year the attendees create a project / topic list ahead of time (eg from 2015). That's not a strict plan though, as important issues tend to bubble up once everyone's together. In 2015 people were encouraged to log things as they went along. After the event some of the attendees blog about their time at the QAH. As we all benefit from the work done by these volunteers, we try to pay for the QAH through sponsorship and donations. If your company uses Perl, maybe you could ask them to contribute? If you're interested, we have a sponsorship prospectus, which we're happy to send you. We'll be getting in touch with many of you anyway, with cap in hand. Donations can be made via the Enlightened Perl Organisation (EPO). If your company needs invoicing for sponsorship, or a larger donation, let us know and the EPO will bill you. An invoice can be selected from the online portal for those who use that route. We'll be following this announcement with some blog posts on the toolchain and how the QAH works. If you've got some ideas for topics you'd like to see discussed at the QAH, you can comment here or email one of the organisers. The organisers this year are Barbie, Jon Allen, and Neil Bowers.